New or used, the Ford Mustang is an icon among sports cars. Offered in coupe and convertible configurations, the Mustang has a long history of wowing drivers with its powerful engines, race-inspired handling, and well-equipped cabin. Fortunately, you don’t have to buy new to enjoy all this revolutionary sports car offers, including tried-and-tested Ford reliability. Below, you’ll find a used Ford Mustang for sale in our selection of 5—available right here at Cactus Jack's Auto near Mesa. 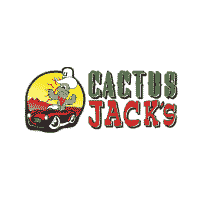 Why Buy a Used Ford Mustang for Sale from Cactus Jack's Auto? Even if you have no credit or bad credit, we can help you find and finance a used Ford Mustang for sale. With our Buy Here, Pay Here Program, Surprise and Glendale car buyers can finance through us, and get access to perks like short-term loans, online payment options, and monthly reporting to major credit bureaus. This is just one of many reasons to buy used instead of new! Learn more about the benefits of financing through a dealer, then contact us with any questions.